An interview with my mystic, Dr. Jacob Arash. Today begins a new series called, “Into The Mystic,” featuring my personal Mystic, Dr. Arash Jacob. Yes, I have a Mystic, and an incredible one at that! Arriving in the City of Angels seven years ago, I left everything and everyone that was familiar to me and set off on a journey to find myself. Dr. Jacob has been by my side throughout this process of reinvention. Arash’s presence has the feeling of finding a refuge…a very sacred space that allows healing to happen. As an energy worker, I’m hyper sensitive to the energies of others. Dr. Jacob is one of those gentle beings that you meet once and leaves a lasting imprint on your soul. His luminous aura exudes that of peace, love and beauty. He’s a gentle giant, powerful beyond measure, always leaving his ego at the door. Entering his office, he will envelop you in the warmth of compassion and grace, and leave you feeling empowered and inspired. His presence has a way of elevating your vibration and encouraging you to evolve on every level. Many call themselves “Lightworkers” in this New Age world yet few have actually earned that title. 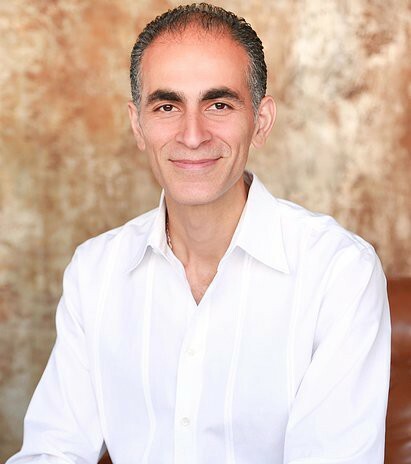 Arash Jacob is a true Lightworker in every sense of the word. Love permeates his being and his life’s work. Love is the fuel of the Divine and this man is Divine in every sense of the word. In each part of the series, I will pose one mystical question to Arash and share with you the depth of his being through his powerful response. Many have transformed by the sheer magnitude of his presence and I invite you to experience true power. We are at a critical point in our consciousness and there’s no time to lose. Welcome, Arash. CGO: Many people are confused when someone is called a “Mystic.” Arash, tell us what is a Mystic and how does a person become a “seer” on this level? AJ: The word Mystic seems to have a very ethereal nature. My personal indoctrination into the world of mysticism began when I was only 7 years old. I vividly recall walking around in the town in which I grew up and having a sense of the space between objects. I recall being fascinated with the energy that I perceived between physical objects. It was the space between trees, between cars and buildings. I remember sensing that there was something alive or palpable in that unseen space. I knew that “it” was there and “it” knew that I was there. At this point, it wasn’t fully conscious but more of an intuitive sense. It wasn’t until I was about thirty that it began to become fully conscious. This was the beginning of the connection between myself and the world of the unseen. When we talk about mystical qualities, what we are really talking about are the “unseen qualities.” We know all of the material qualities that we “see” in the world such as the food that we are eating or the furniture that we sit upon, all of the material things that exist in the world. There are many qualities that exist far beyond those in the material realm. These are the qualities of the heart and love. I find that, oftentimes, they stream from a place that we don’t understand. If I ask someone where love comes from, I’m usually met with silence and a quizzical look as they have no idea where love originates. We cannot create love. That’s an interesting phenomenon, whether you are talking about creativity, love or inspiration. If I were to ask an artist, “Where does your creativity come from?,” he or she will most likely not know the answer. Once again, silence. It’s not understood. Now, for a Mystic who lives in and understands that realm, they intimately know the relationship between creativity and the origin of creation. When I talk to creative people, artists, musicians and writers, it has to be a dialogue of creation by creation. When I work with musicians, I rarely need to give any explanation of my work. Creative people just “get it,” and understand the process of creation. My consideration for everyone is that mysticism is a “foggy concept,” something that’s intangible and difficult for people to grasp as it’s not a material thing. True mysticism is a connection with the “intangible.” It’s as simple as an acknowledgement, a feeling or a knowing that it’s there, and it’s a way of relating with the world of the intangible or unseen. Having a knowing that this world exists can be very healing in our personal lives. People can absolutely have mystical qualities about them. Yet, when I refer to someone as a “Mystic,” I’m referring to the more literal place where they reside in the world of the unseen. That’s their true home. If someone comes to me and they’re having what they refer to as “off the wall” experiences, I say “Welcome to my home.” I welcome them into that world as I know that world intimately. I know where the metaphorical “refrigerator” is or where the sofa is located in the world of the unseen. It’s the world where I reside and it’s a world that I can help you connect with that’s very healing. It’s beautiful for the both of us to bring this person into this world of the unseen and assist them in a deeper connection to themselves. CGO: That’s a beautiful interpretation and experience of mysticism. My journey with you has been a very deep and healing one. You have been my refuge in a turbulent sea and I’m forever grateful. If you’re in the LA area, Dr. Jacob is a powerful, life changing, and transformative experience that I highly recommend. For more information or to make an appointment to see Dr. Jacob, please visit his website. Some of you may feel a bit of “woo woo” when you hear the word, “Mystic.” I assure you that Arash couldn’t be further from much of the new age “woo” out there. He’s as grounded and real as they come. He’s an experience you won’t want to miss. One word of caution, be prepared for your life to be transformed on every level. You can find Catherine Grace O’Connell at CatherineGraceO.com. She is on Facebook, and Instagram and Twitter as @catherinegraceo. You can find out more about The Fierce 50 Revolution and how you can help us and join by sending an email to [email protected].